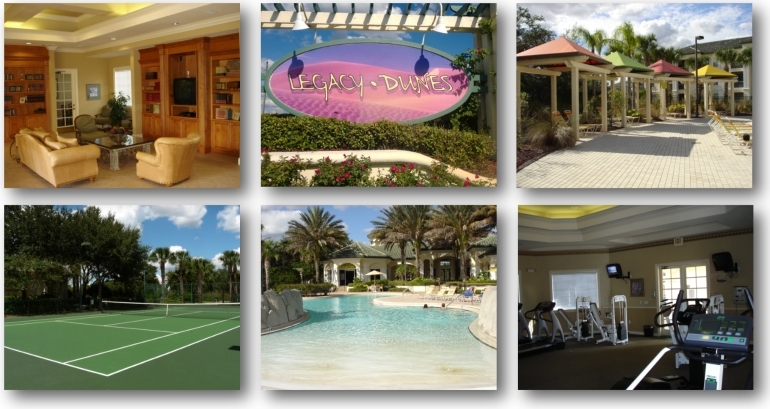 Legacy Dunes Long Term Leasing - Frontline Florida Realty Inc. The Legacy Dunes Resort, Kissimmee, has 488 condominium units and is zoned for both. short-term rentals and full time residence. This community offers of one, two, three and four bedroom luxury condominiums situated on over 50 acres of land that boasts multiple lakes and conservation areas. Located in Kissimmee, the Legacy Dunes Resort community can be found just off Highway 192 and is close to shopping, dining, and other area attractions. ChampionsGate Golf Course - 10 miles. 1, 2, 3 and 4 bedroom condos available for rent.